Preparing for a good interview is no easy matter. Whether it is a telephonic or face-to-face conversation, you need to do some basic preparation. It is the first step of creating a good impression. Many times the good impression becomes the differentiator factor for you and fetches you your dream job. Of course, your skill sets, educational qualifications, confidence level and smartness play a vital role. Now-a-days everyone learns about the tricks and tips of good interview by surfing across various websites on the internet. But when it comes to answering typical and tough questions, not all are able to excel. You need to research a lot about these questions and answer in a tactful way so that the interviewer is able to gauge your confidence and ability in a short while. From the employer’s point of view, these questions help them reject the wrong candidate. On the other hand, preparing for those typical yet tricky questions in the right time will help the interviewee to prove as the right candidate and stand out from the crowd. Now get ready to perform well under pressure. Prepare well so that you answer well. 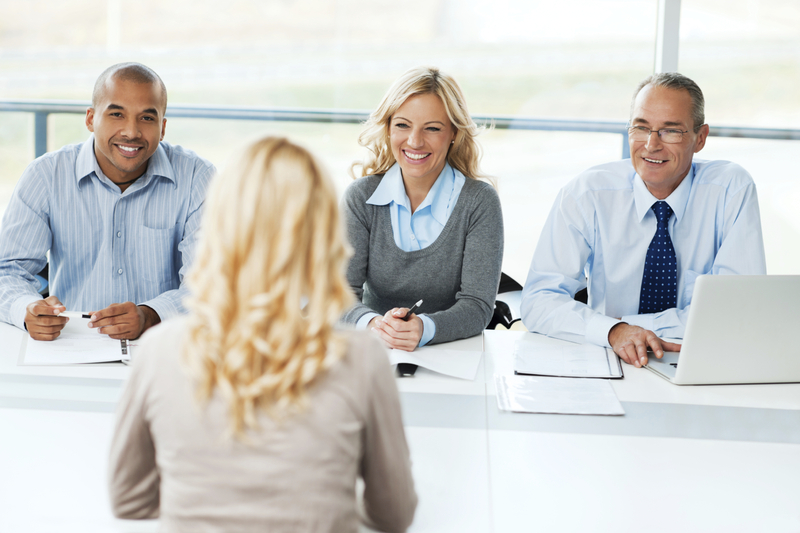 Read these popular questions that are asked in almost all job interviews. Also given are the ways to answer to these questions smartly. 1. Question: “Introduce yourself” or “Can you tell me a little about yourself”? Answer: The answer to this question is definitely not a well-rehearsed speech about your age, degree, schools and colleges, hobbies etc. All these things are mentioned in your resume. It means that the hirer wants to know who you are and why you are the best for this position. Just brief about yourself and your professional experience related to the position you are seeking for in just 2 minutes. Ask the person whether he wants to know more. If he shows interests, cite one or two examples of your professional achievements and how those benefitted your earlier companies and how those relate to the current job position. 2. Question: What are your greatest strengths? Answer: Don’t exaggerate your achievements and other strengths. Don’t sound over-confident while answering. Talk about your work experience, abilities and achievements that are relevant to the current position and can benefit the company. If possible, cite some examples. If you are into some sales job you can mention how any of your achievements and thought process contributed to the company’s record breaking sales numbers. Here you may talk about your ability to learn, co-operate with other team members and a willingness to work for long duration. 3. Question: What are your weaknesses? Answer: Don’t try to be too honest with your answer. Every person has a weakness. But the interviewers do not want you to reveal your real weakness. The best way to answer this question is talk about a professional quality that you are trying to improve. For example, you can say “I used to have some issues with work-life balance. Now I have learnt better time management skills in both my personal and professional lives. I wake up much early so that I can take care of my health, finish important personal tasks and this particular habit is affecting my work life positively”. This proves that you are a mature and positive-minded individual. Don’t talk about any of your personal bad habits like smoking or drinking in any case. 4. Question: Why do you want to shift from your current job? Answer: You may have quite a number of reasons to leave your present job. You may not like your current work profile, your boss or any of your colleagues. Even then you should not speak ill about them. No interviewer expects you to complaint about your previous office or its employees. The best answer to this question may be “I have been in my previous job since 3-4 years and now want more challenge at work that will add to my learning”. If you have no experience and your interviewer asks you “Why are you interested in the present job”, you might say that this profile is more in line with your skill sets and abilities and you simply like this. 5. Question: Where do you like to see you in 3 or 5 years down the line? Answer: If you are an experienced candidate, you may talk about the next higher role and the type of challenges you like to undertake. On the other hand, if you are a fresher talk about the areas that interest you and how you would like to achieve heights in your career. In no case, you should talk about becoming the board member or president of the company. 6. Question: Do you have any queries? Answer: Never say ‘no’ to this question. Instead do your research about the company and the position you are seeking for, at home. Now ask at least 2 questions so that the interviewer knows that you are well read and have a lot of interest in the company. Again you can use this opportunity to prove yourself as the best candidate, if you think the hiring authority have some doubts regarding your performance and ability. Remember, you must prepare for these questions well ahead of the time. Don’t wait for the day before the interview. Have a family member or friend to interview you with the tough questions. Listen to their responses and rectify your mistakes. You can even practise in front of a webcam and judge your responses and mannerisms. On the big day, show yourself as the best candidate while remaining polite, gentle and positive-minded. It might happen that even after preparing well, you are caught off guard by a tricky question. Remain calm, think about a good answer, build a logical sequence to your composed thought and then only respond. Thus succeeding in a job interview may be tough, but not impossible.